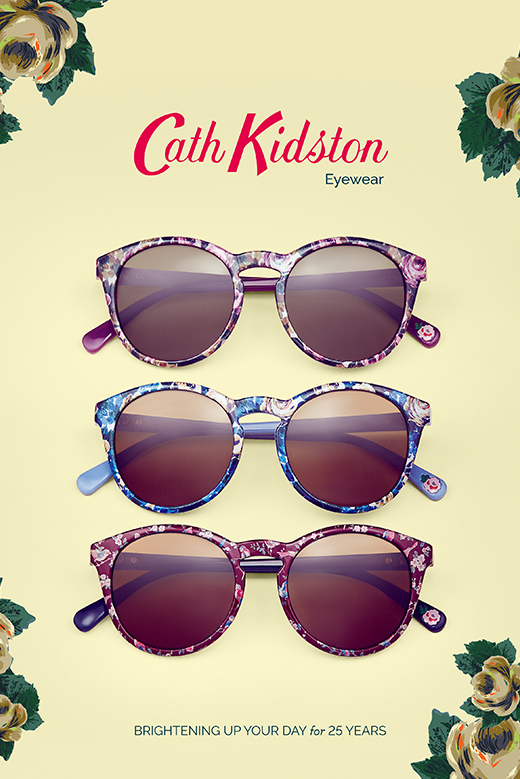 Cath Kidston’s sunglasses are guaranteed to brighten up your day if the sun hasn’t already lifted your mood! Vibrant colourful designs are printed on modern shapes to create a collection of frames that make a statement whilst remaining a key wardrobe staple. Signatures of the sun collection include discreet branding on the temple and a single rose – the Cath Kidston icon – adorning the inside of each end tip.